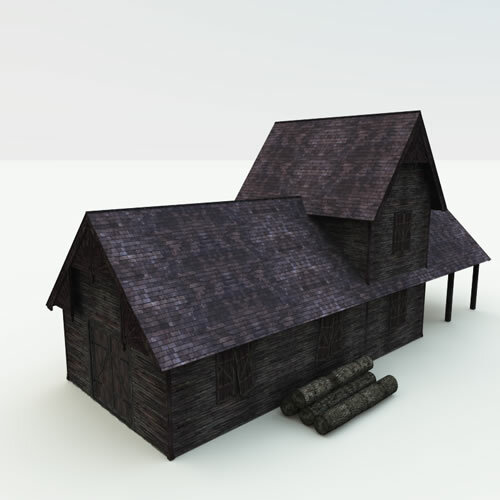 Haunted Woodmill is a complete, small woodmilling building that works in historical settings of the 19th century or later. 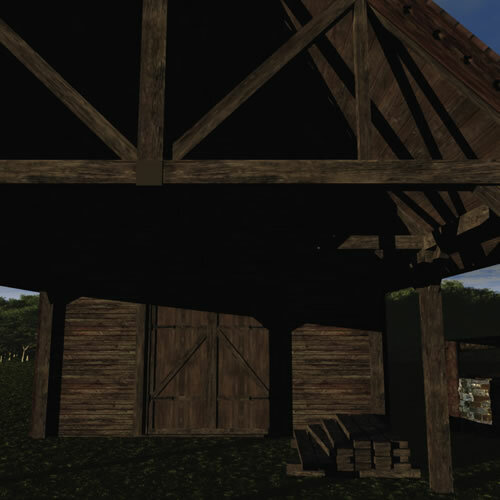 This dark building has broken shutters, dirtied (if intact) windows and the remnants of old woodwork piled outside. 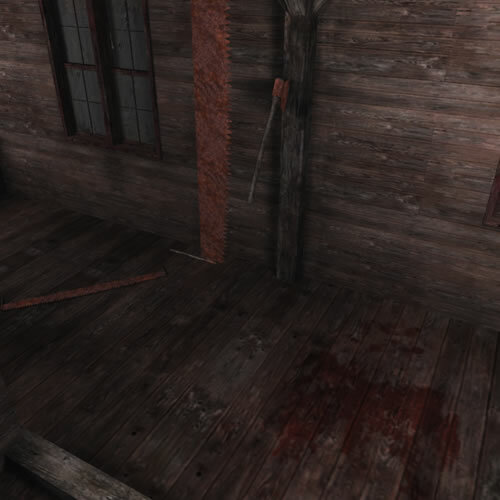 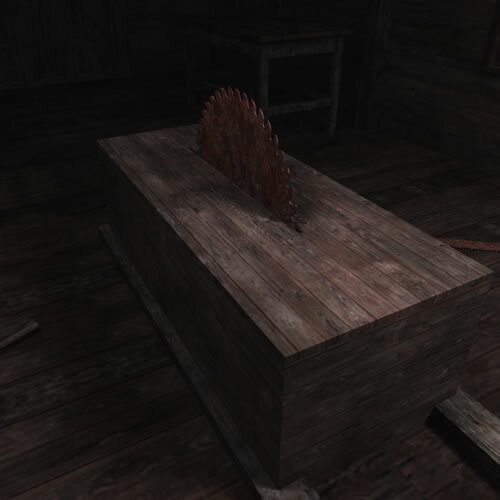 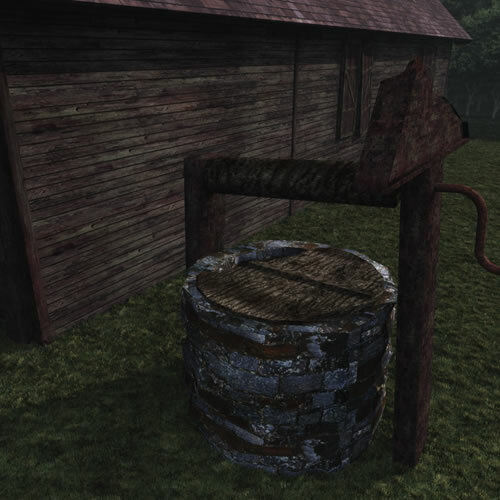 Inside, a somewhat gruesome mess - rusted and bloodied tools, axes and saws remain unused. 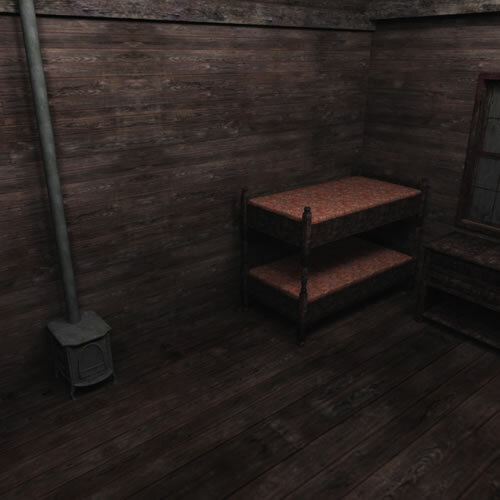 Above, a room where the woodmen slept and lived, old bunkbeds and a wood stove for warmth. 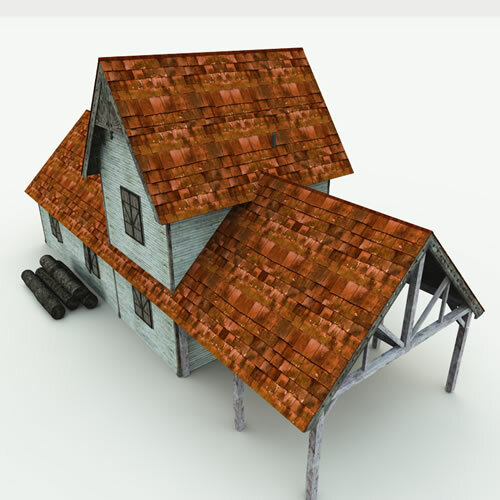 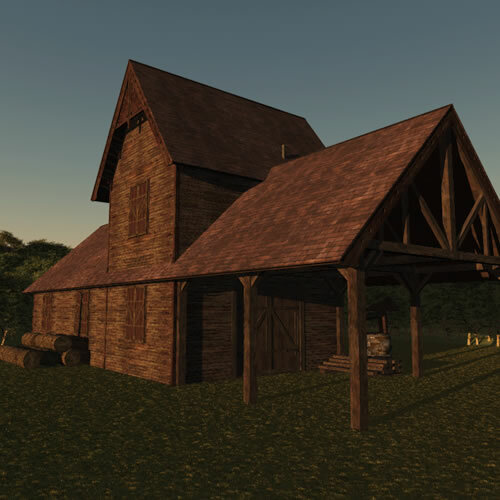 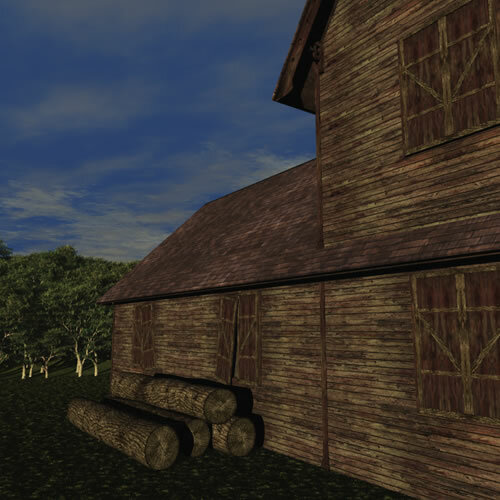 Haunted Woodmill R2 includes a second texture set - a New England texture set - allowing artists to transform its appearance.